Welcome to the capital of China – Beijing, rich in history and culture! Upon arrival at Beijing airport, you’ll be picked up and escorted to your hotel. The rest of today is yours to recover from jetlag. 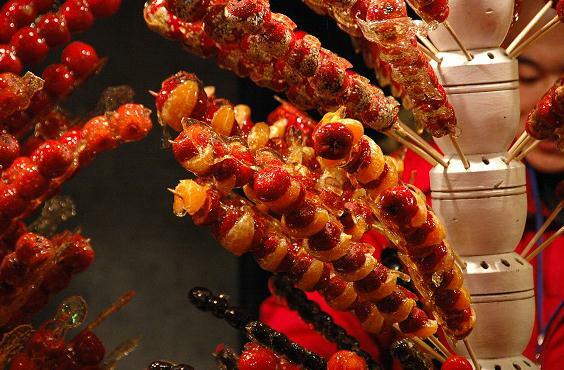 It’s great to hang around Wangfujing Snack Street if you like. Tasting different local snacks and having a glimpse of Beijinger’s life. You can take some Sugarcoated haws in person, not just seeing from Chinese TV series. 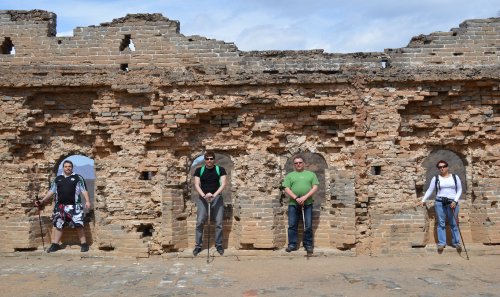 Our local guide will pick you up at 7:30am at your hotel and then drive to first destination Huangyaguan Great Wall (about 3 hours). 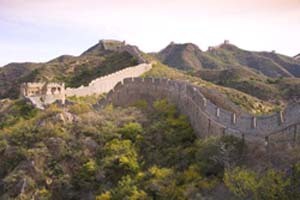 Hike the whole section of the wall from Taippingzhai to Huangyaguan, and it will take you around 3 hours (4 kilometers). The rock and cliff to the east of this section are always yellowish at the dusk, therefore Huangyaguan is also named “Yellow Cliff Pass”. It is built on an abrupt mountain ridge and endowed with natural beauty. Some sections of the wall are quite narrow and steep, so please take your own pace. It’s worth doing this, as you will be rewarded with the breathing scenery. Afterwards, you will have a late lunch and you’re free to explore the village in the afternoon. Stay overnight at a local farmer’s guesthouse. After a typical farmer’s breakfast, you’ll be driven to Jinshanling Great Wall (about 2 hours) and start hiking at 8:00. Walking eastward along the old city Wall, and you’ll pass numerous watchtowers as well as walls that have not yet been restored. You will get off the Wall by Kylin Tower because of the recent closure of Simatai East section. But you have access to the Simatai West. Then proceed to Jiankou and stay overnight at Xizhaizi village. 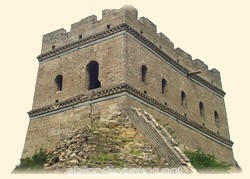 Today you’ll explore the Jiankou Great Wall at 8:00am and hike to the famous Mutianyu Great Wall. It will take 5 hours hiking on the wall with awe-inspiring views. The Mutianyu section is less crowded than other sections of the Great Wall and the foliage is much richer with vegetation cover reaching to above 90%. Shorts are not recommended as you will meander through jungles and bushes. On the way back into Beijing, you can stroll and take photos at the Olympic venues. On this day, you will first visit the immense Tiananmen Square after breakfast, always crammed with sightseers and kite-flyers. You may see the flag raising and lowering performed by our People's Liberation Army (PLA) if you are lucky enough. 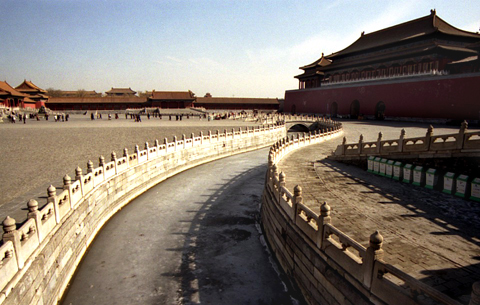 Walking north to the splendid Forbidden City, China's No.1 palace complex ornamented with imperial treasures. In the afternoon, you will head for the Temple of Heaven where Chinese Ming and Qing emperors worshipped heaven and prayed for peace and harvest. Now locals come to play chess and do morning exercise routines. Later you will be transferred to the airport for your flight to next destination or back to home.